Dental technology is changing faster than ever, and Dr. Stansbury is always working to keep up with the latest advancements so he can bring them to our patients. With the instruments detailed below, we’re able to find, diagnose, and treat dental problems faster than ever while keeping you completely comfortable. Basically, if there is a tool that will improve your dental experience with us, you can trust that we already have it! 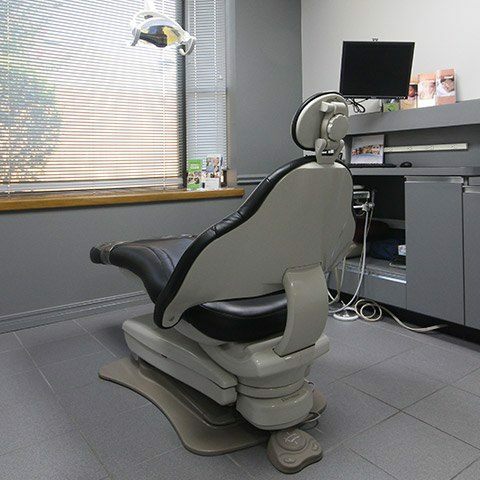 To come experience state-of-the-art dental office, give us a call today. Why Choose Stansbury Dental for Dental Technology? This handy little device lets us take the mystery out of your dental care, as it allows you to see your smile from Dr. Stansbury’s point of view. 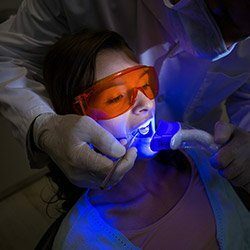 This small, camera-tipped wand fits easily into the mouth to capture high-resolution images of the teeth and gums we can display on a nearby monitor. These make it much easier for our team to spot minor issues, and you’ll be able to see exactly what Dr. Stansbury is talking about when he’s making treatment recommendations. 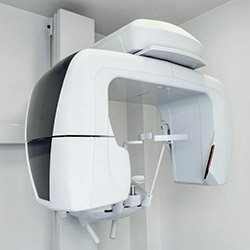 Cone beam technology is relatively new to dentistry, but it has already changed the way dentists gather information. 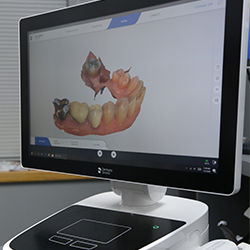 With this scanner, we can create a fully 3D X-ray image of a patient’s teeth, jaw, and surrounding oral structures. In addition to being very cool to look at, this kind of image helps us better understand a patient’s unique dental anatomy. With it, we can find hidden infections, determine the cause of TMJ issues, and formulate precise treatment plans for more involved procedures. 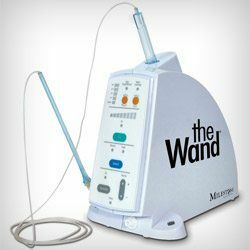 If you hate getting shots at the dentist, then you’ll love The Wand™. Most of that “pinch” you feel before going numb is actually due to the anesthetic being administered too quickly/unevenly and not the needle itself, and this is what The Wand™ is designed to correct. After applying a small amount of topical anesthetic, it slowly administers the rest so that the sensation stays below the pain threshold. As a result, you feel nothing right before you feel nothing! Finding and treating tooth decay is one of the most important things our team does every day, and with our cavity detection system, we’re better at it than ever. DIAGNOdent uses wavelength technology to detect even the smallest indications of decay, ones that would normally go unnoticed during a traditional exam. With this information, we can intervene and treat troubled teeth conservatively to stop many cavities before they even start.